Today’s Mexican dish is going to be Chimichanga. From Wiki, I am told that it’s also called Chivichanga. 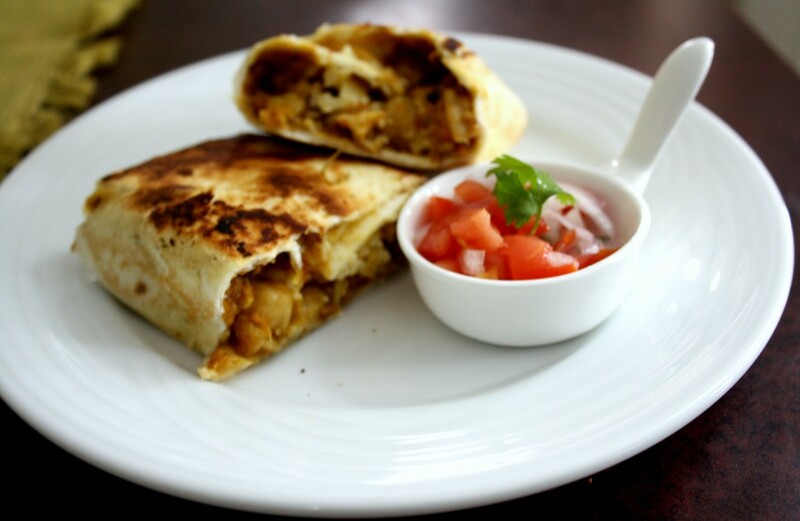 It is made with Tortillas, Cheese, beans, and shredded chicken. 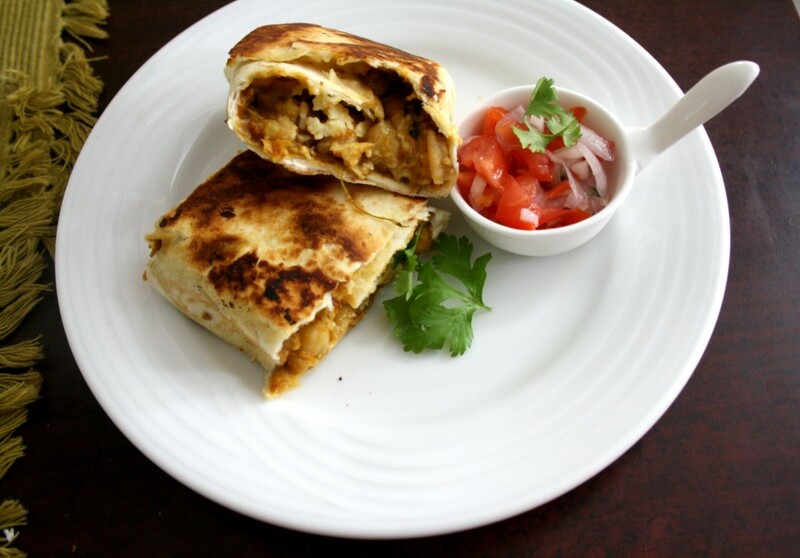 It is normally deep fried burrito that’s popular in South western US. 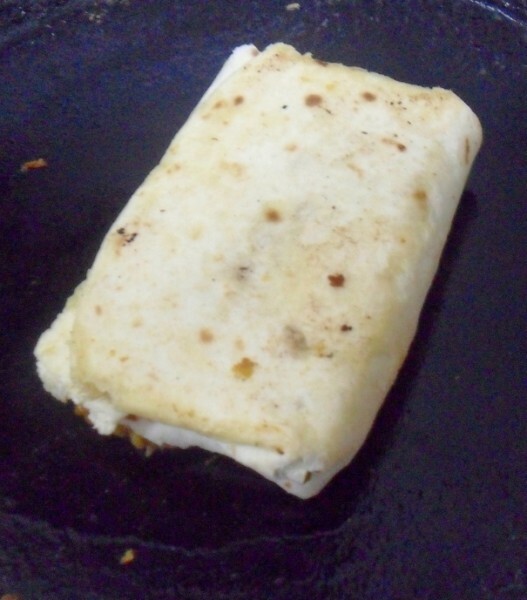 The dish is typically prepared by filling a flour tortilla with a wide range of ingredients, most commonly rice, cheese, machaca, carne adobada, or shredded chicken, and folding it into a rectangular package. 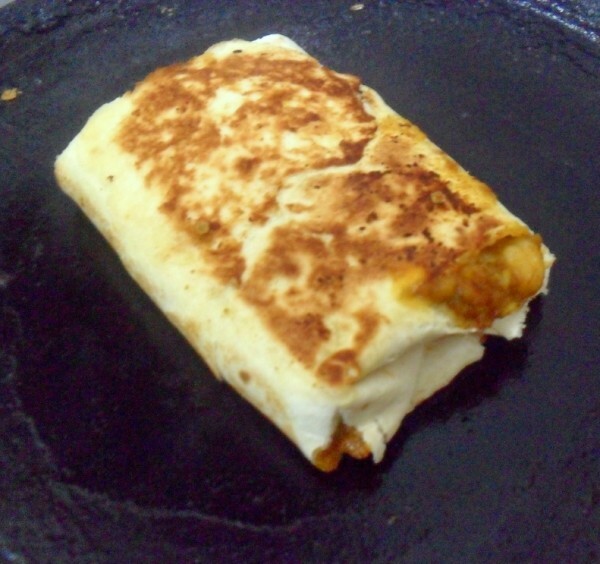 It is then deep-fried and can be accompanied with salsa, guacamole, sour cream and/or cheese. When I saw Pavani’s was when I realized that I had accidentally made this when I was making Spring rolls. When the store bought sheet failed on us, I had the tortillas and we wrapped up with that to see if that works. Of course I didn’t know about this dish nor did I add cheese to it. I later decided this would surely be a dish that I could make for this week. I was making something else and I was left with just one more tortillas, when Konda insisted on more. She loves cheese and can have it in any number of ways. I was telling her that I was saving up the last one to make something, but seeing how disappointed she was looking, I ended up making this. This is so simple to make, especially if you have the filling ready. Of course this is a fusion dish with just the concept of Mexican Chimichange involved. But then being a spice lovely group, we can’t satisfy ourselves with anything less spicy. Then after filling it up, I wasn’t really keen on deep frying it and followed Pavani’s method of pan frying. We still were left out with awesome Chimichanga! Tortillas – 1 -2 nos. 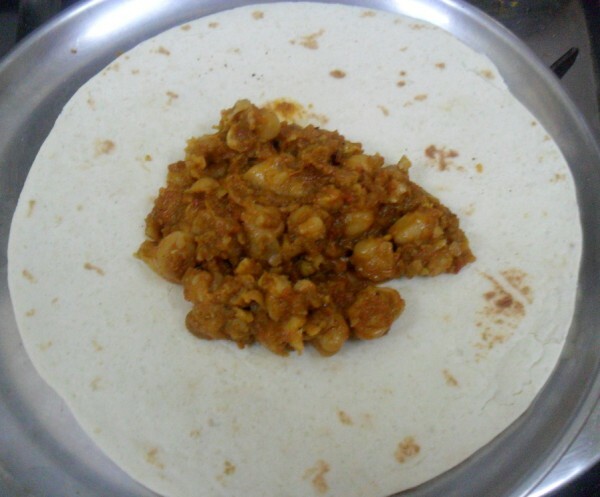 I made the Channa Masala that I normally make for Pooris. Warm the tortillas over hot pan, for couple of secs. It’s enough if the tortillas are warm, only then it is easy to roll them. Place the filling in the centre, sprinkle the red chili flakes over it, top it with grated cheeses. 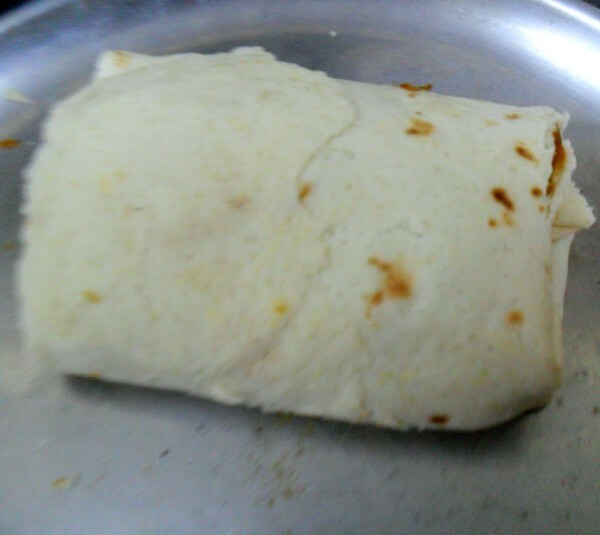 Fold the sides of the tortilla onto the filling, then fold the bottom over the the sides and roll to the top. Repeat with the remaining tortillas if you are making more. Roll it carefully but tightly so that they stay together well. Heat a teaspoon of butter on the tawa, place the chimichangas on the hot butter, seam side down and cook on medium flame until golden brown, about 3-4 minutes. Flip over and cook for another 2 minutes or until golden brown. Serve hot with tomato salsa. Oh I remember being fascinated by the name Chimichangoes..and making them years and years back ….well it surely was on my mind to make these for mexican theme…these taste and look wonderful. Wow , I want to have those with your gorgeous chickpea and cheese filling ! I want that plate, sounds fabulous,nutritious and filling as well..Makes me hungry. I was intrigued by the name as well. Love the platter! 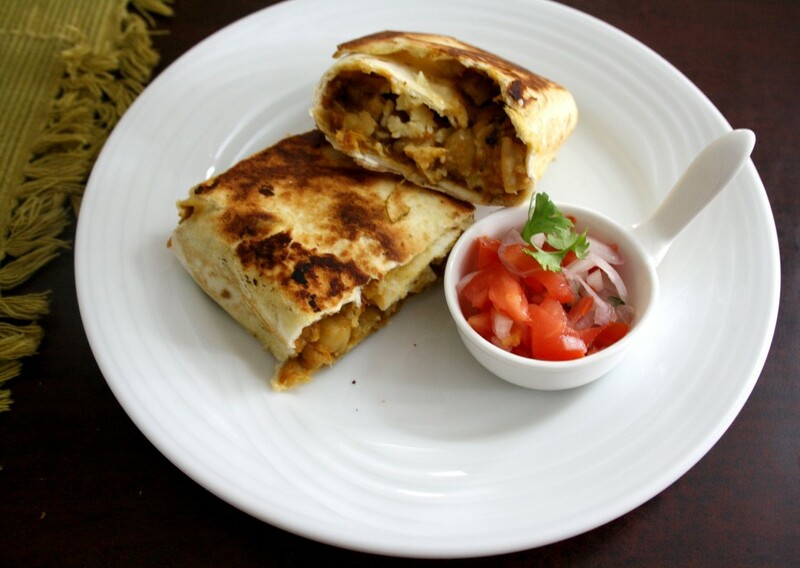 Love the chickpea filling. Sounds delicious.